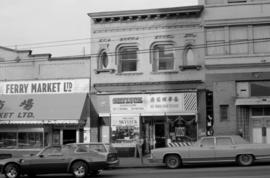 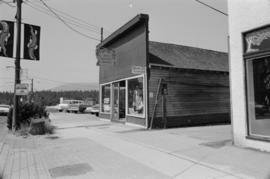 Item is a photograph showing Cozy Corner Grocery. 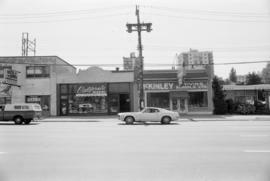 Item is a photograph showing the Ammundsen Medical Supply store. 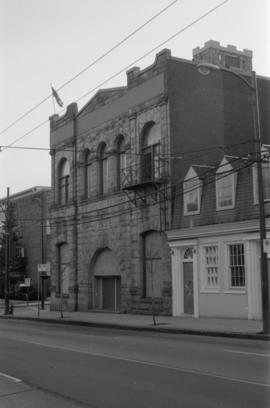 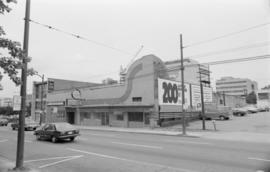 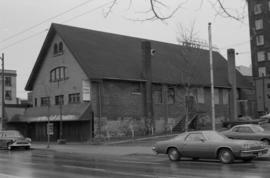 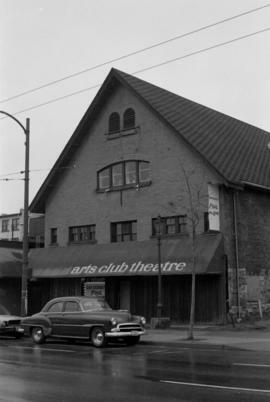 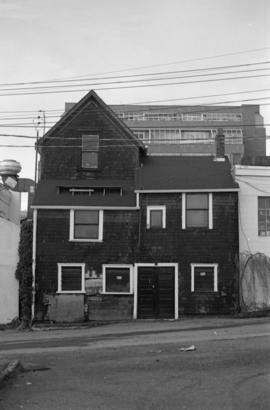 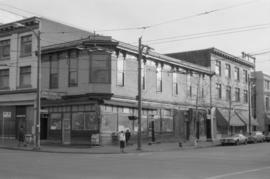 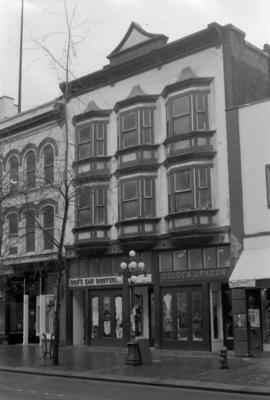 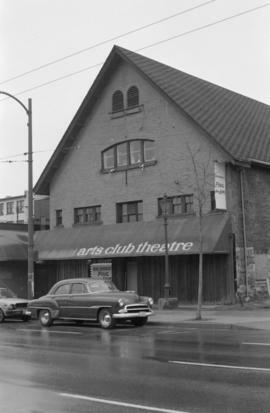 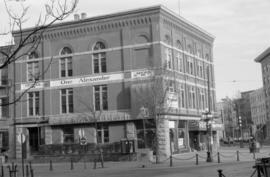 Item is a photograph showing the Arts Club Theatre. 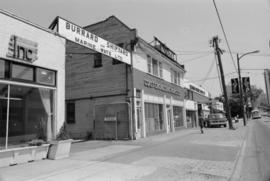 Item is a photograph showing Maynard's Auctioneers Ltd. 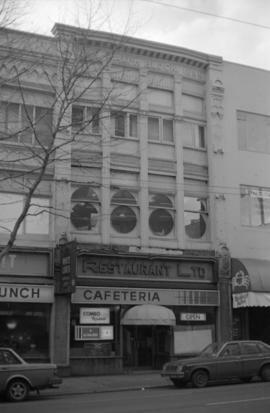 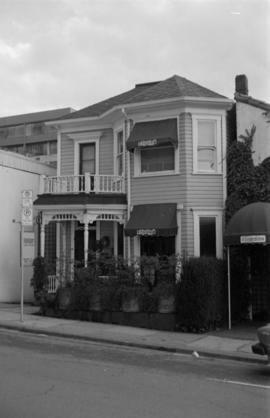 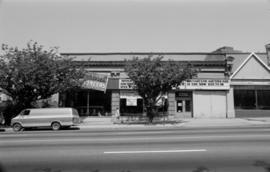 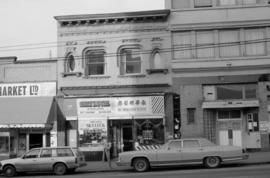 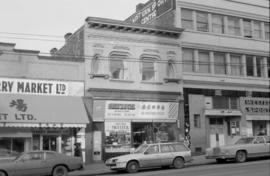 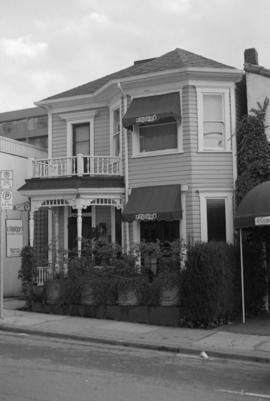 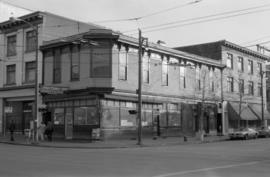 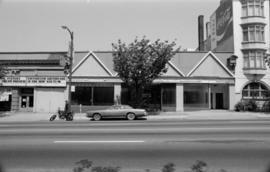 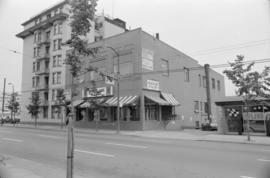 Item is a photograph showing Umberto's Restaurant. 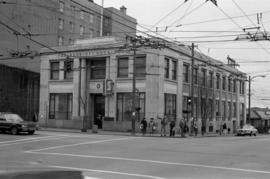 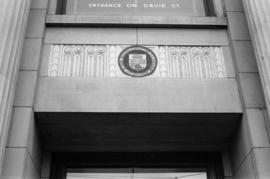 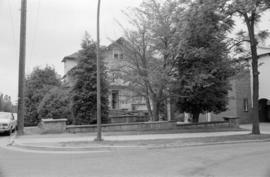 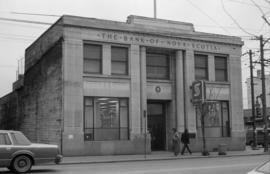 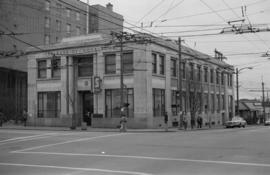 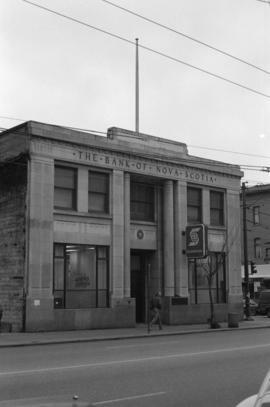 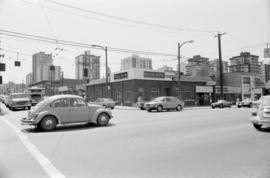 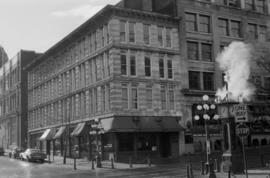 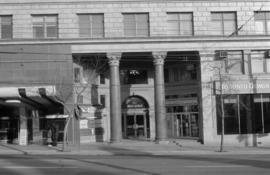 Item is a photograph showing the Bank of Montreal. 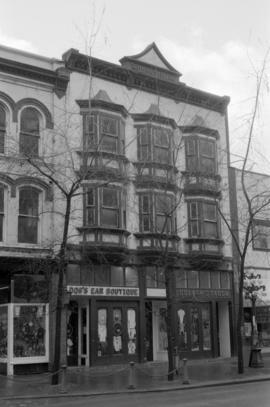 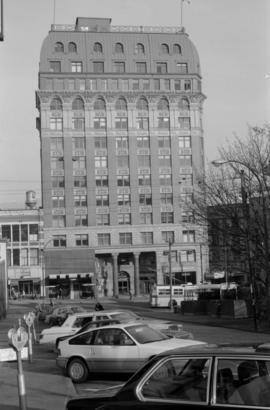 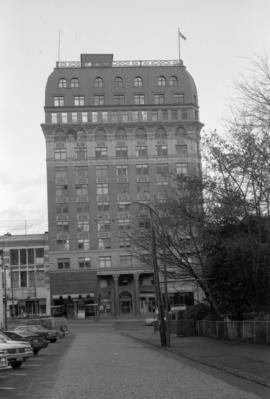 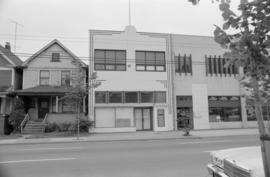 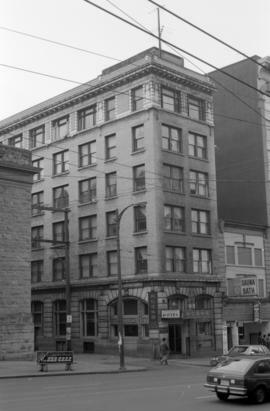 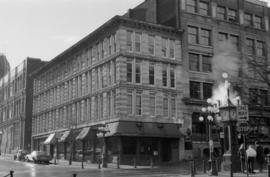 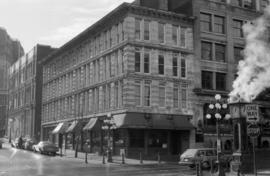 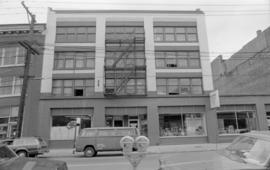 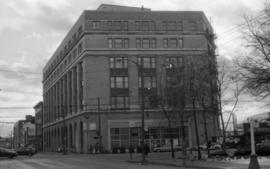 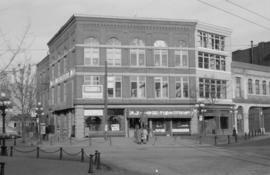 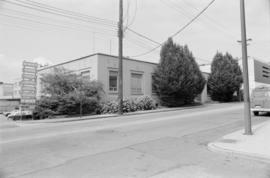 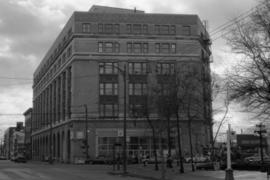 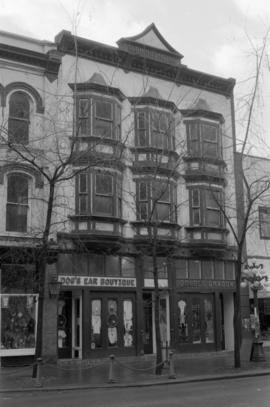 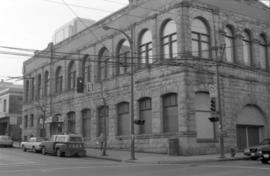 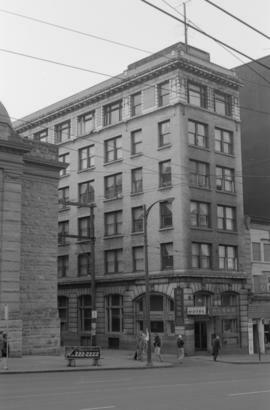 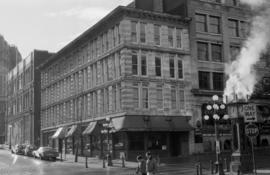 Item is a photograph showing the Dominion building. 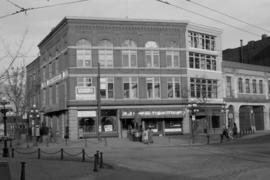 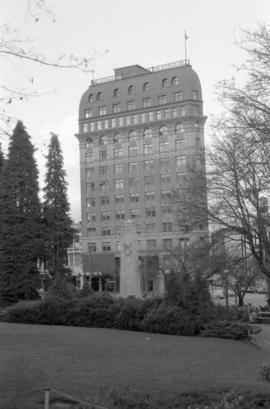 Item is a photograph showing Victory Square and the Dominion Building.